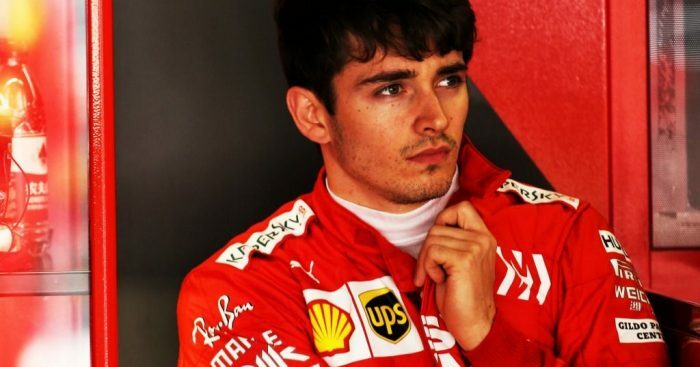 Charles Leclerc said he will not be drawn into making “silly comments” about Ferrari’s latest team order and will seek a full answer. Leclerc’s race would get off to an excellent start in China after getting the jump on Sebastian Vettel once the lights went out. However, that would be as good as it got for the new Ferrari driver as team orders and a questionable race strategy saw P3 become P5 by the time the chequered flag waved. Vettel thought the team orders were “fair” as he was showing good pace, but Ferrari boss Mattia Binotto could understand Leclerc’s frustration. While Leclerc let that frustration show over team radio during the race, he was a little more reserved back in the paddock. “With Seb I need to understand the full picture, see the full picture to speak with the engineers and understand the decision,” Leclerc told reporters. “I’m sure there’s an explanation behind this decision and I will understand it. Anyway, it’s in the past. “It has not been a great race for me. Leclerc also felt he should have completed his second stop much earlier after being unable to close down Max Verstappen in the final stages. But the delayed second pit stop was done with Vettel in mind. “If you look at my own race I think obviously we [should] have pitted earlier,” Leclerc added. “If you look at the [team’s] race I think they did the right thing trying to slow down the Mercedes for Seb to come back which I believe was the target.